Ahmedabad: Holy month of Shravan kicked off today in Gujarat. The holy month of Shravan kicked off today in Gujarat. The month of Shravan in Gujarat is marked as per Gujarati Hindu Vikram Samvat calendar which is different from other northern Indian states where Shravan begins little earlier. The month of Shravan this year will see Pavitra Ekdashi on 14 August, Raksha Bandhan on 18 August, Janmashtami on 25 August, beginning of Paryushan on 29 August. During the month of Shravan, Shiv Mandirs attract huge number of visitors, particularly on Mondays that are associated with Shiv. There’s importance of fasts during Shravan. People offer ‘bilva patra’ to Shiv Ling in Shiv Mandirs during Shravan. Many people also offer milk to Shiv Ling. Some people choose to grow beard during Shravan. 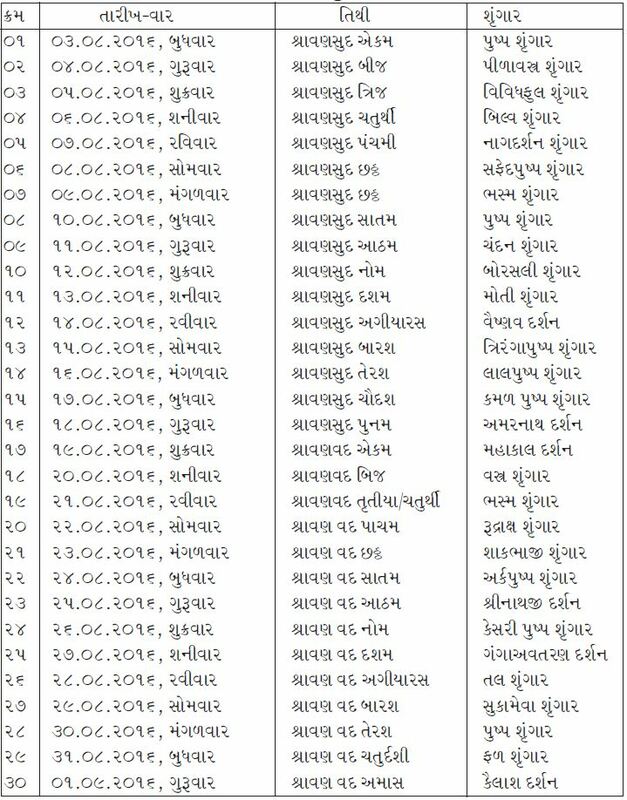 The first Jyotirling, Somnath Mahadev mandir in Saurashtra obviously becomes the capital of celebrations of Shravan in Gujarat. 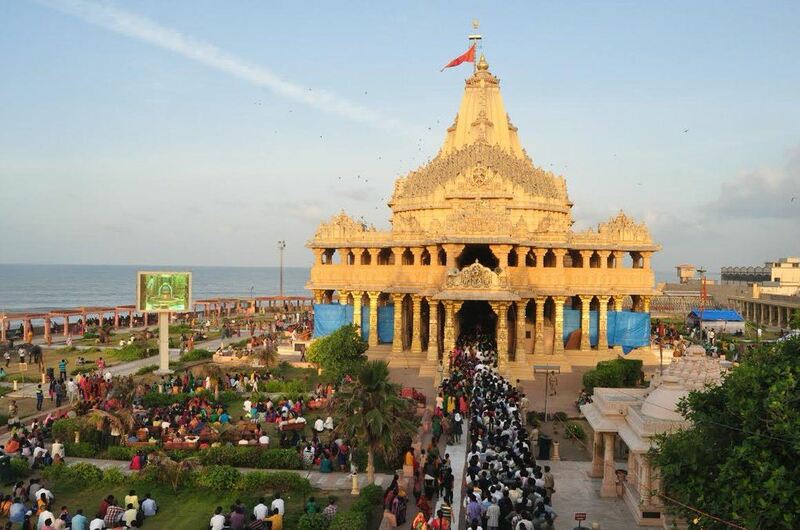 Shravan Mahotsav celebrations at Somnath kicked off today and will continue till 1st of September which is Shravan Vad Amas or the last day of Gujarati calendar month of Shravan this year. Pilgrims from all over the nation will take part in Savalaksha(1.25 lakh) bilva puja(offering of Bili patra leafs to Shiv Linga), Mahamrityinjay mantra, jap yagna(yagna with chanting), dhvaja rohan(offering of saffron religious faith over the temple) and puja vidhi. Nageshwar near Dwarka is another Jyotirling in Gujarat which attract large number of visitors during the month of Shravan. 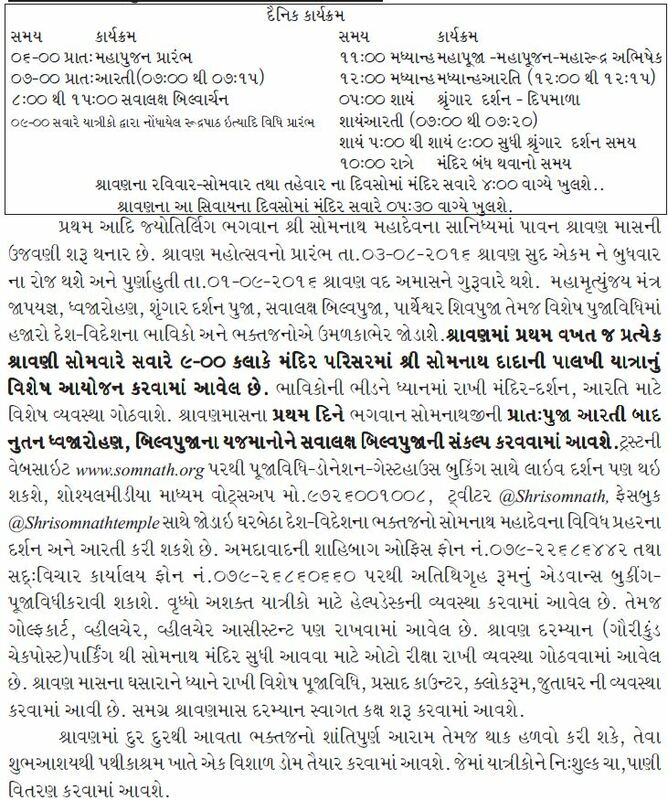 Mandirs across Gujarat will see greater presence of visitors during the month of Shravan especially Shiv Mandirs on Mondays.